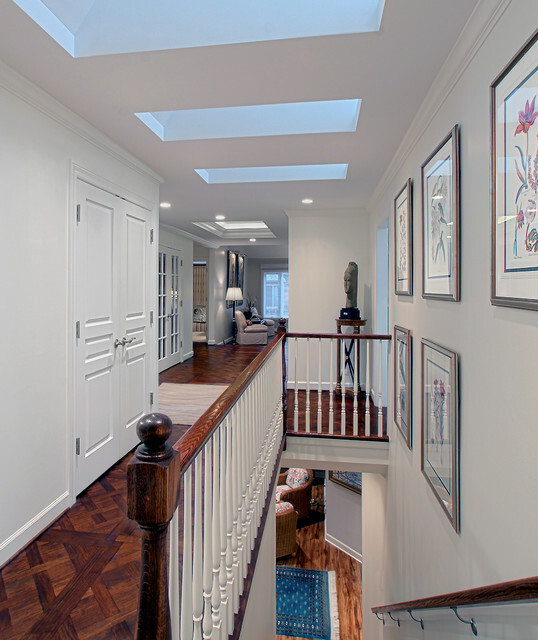 When we’re talking the benefits of VisionAGI rooflights and how they can enhance any room in our house, the areas we tend to overlook are hallways and landings. Why? 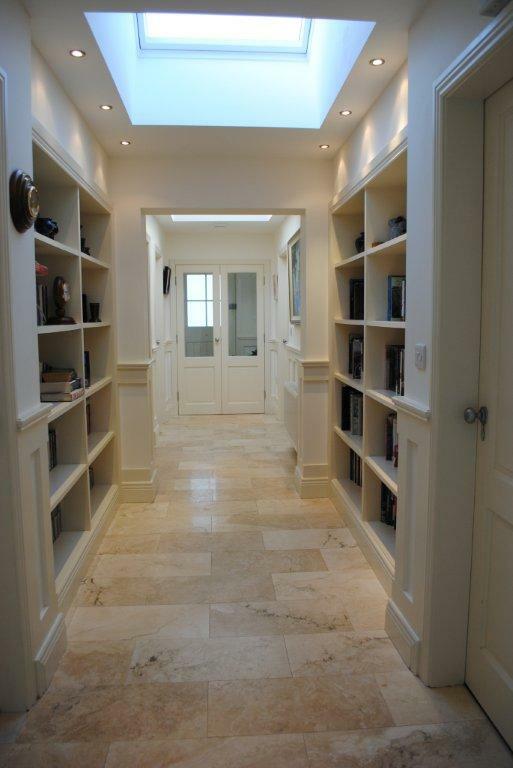 Well, let’s face it, these areas are usually just seen as accesses to other, more ‘important’ rooms or passageways between say an entry point, and the main living areas of the home. Hallways and landings are often seen by us as ‘dead’ space in our homes. Yet very often are the very spaces that benefit the most from the installation of rooflights. Adding a rooflight into an area that otherwise relies on ‘borrowed’ light from other areas of the home, has the effect of making the space appear larger. Plus there’s the hidden, additional benefits that all that extra daylight brings – such as saving on energy bills. 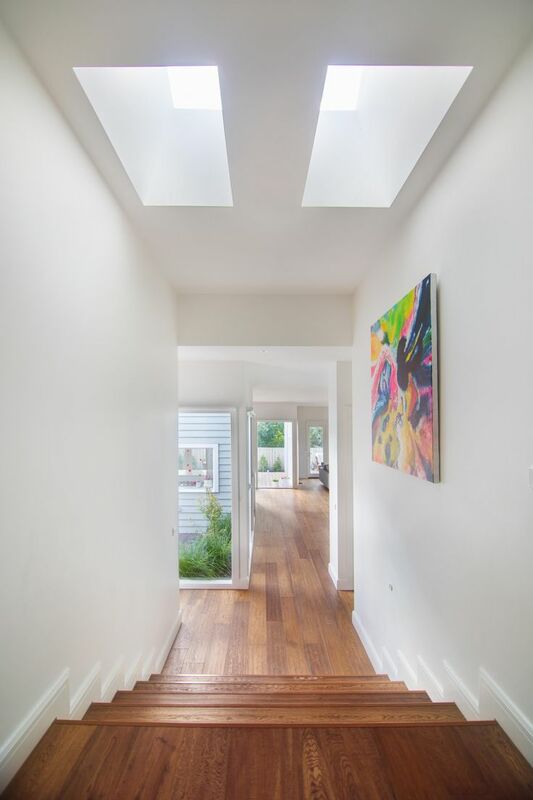 Depending on the size of your hallway or landing area, adding a rooflight allows you to utilise the area in a way that may not have been possible before thus turning in into a functional living space in your home rather than just an access point. Adding a rooflight to your landing area for example – even if there is already an existing window there, allows you to get creative with the newly available light and space. If you have a medium to large landing area, you can install a desk and turn the area into a home office or study space. A compact landing area? 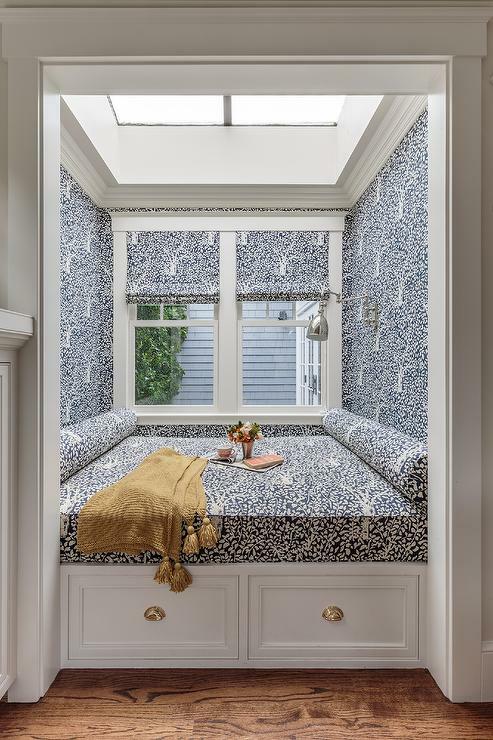 How about this stunning window seat/reading nook positioned under the new rooflight? Winter or summer, it’s the perfect place to curl up with a good book or just to escape for some ‘me’ time. 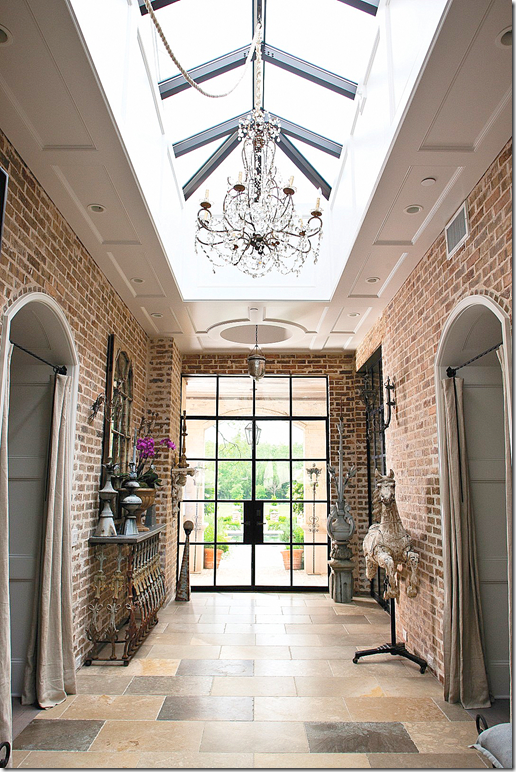 Deck the halls – with rooflights! 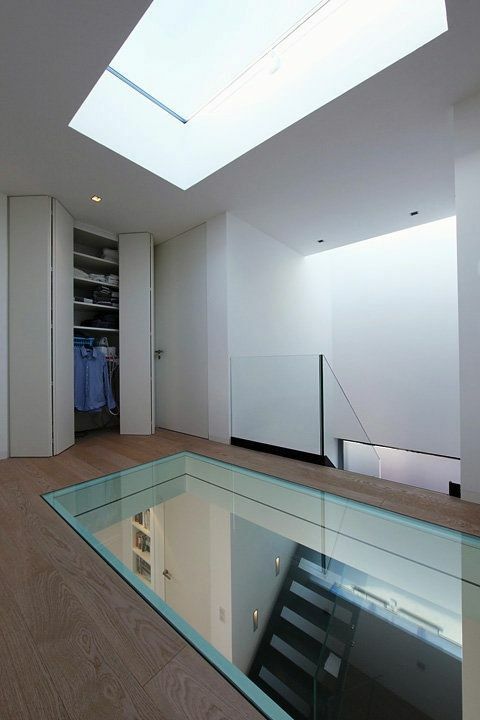 Even narrow hallways can benefit from the installation of rooflights whether it is a lantern/sky pod rooflight or a row of individual fixed rooflights. 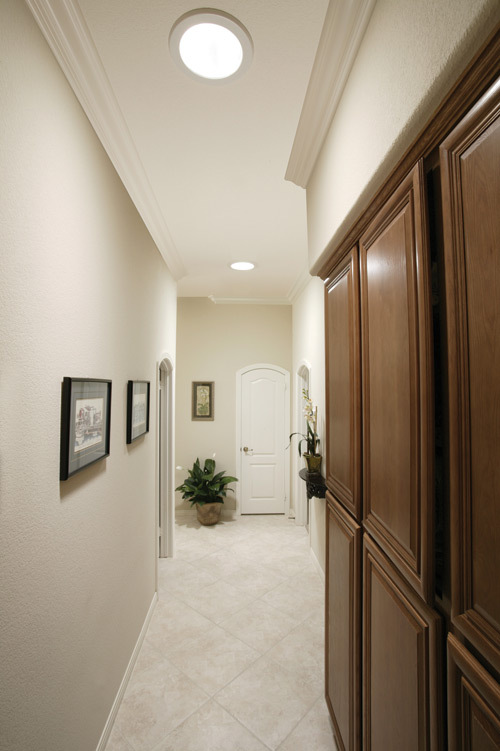 The additional light has a knock-on illuminating effect into other areas of your home leading off the passageway. 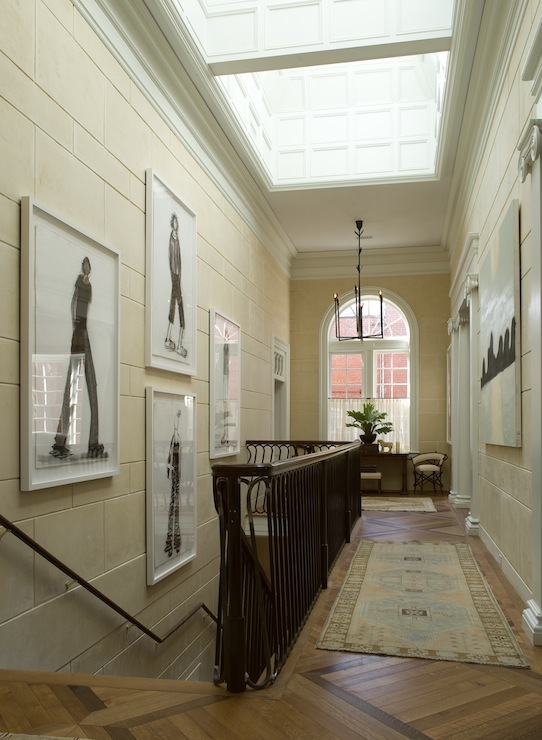 You can also then utilise the hallway area much more effectively especially if you have artworks. And why stop with the roof? If you have an upper landing area in need of extra illumination, then consider adding a walk-on rooflight into the floor to channel the light down to the floor below. Very often the area below a landing is a hall or passage way so you can effectively illuminate both while adding a stunning feature to your home. 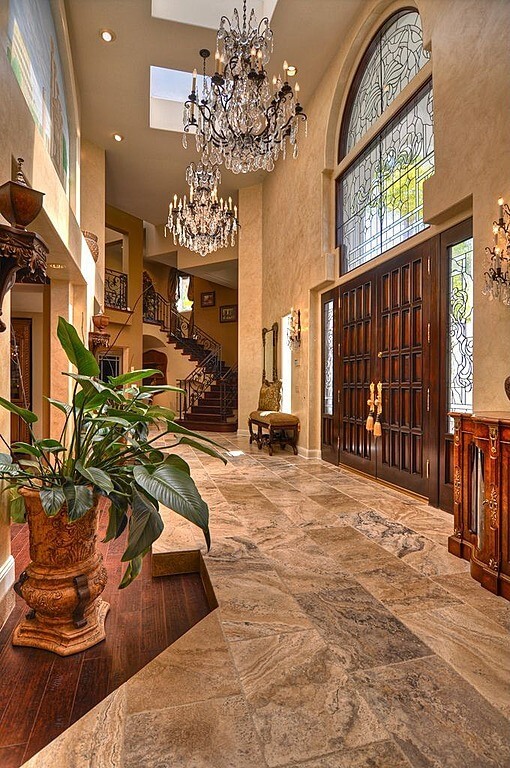 If however, you have a wider hallway or larger landing space, even more possibilities open up. Some buildings such as barn conversions for example, lend themselves perfectly to creating additional usable areas in your home from landings. While larger, more dramatic hallways and landings allow for bookshelves and areas to display antiques or feature furniture. Yes, at VisionAGI we are passionate about the ways you can utilise rooflights in your home – and in helping you discover the optimum way to do this within your budget. Installing rooflights can add significant appeal and value to your home if you are ever thinking of selling, but mostly we’ve found our customers want to install them for the immediate, daily benefits of seeing the Sun from a totally new angle! 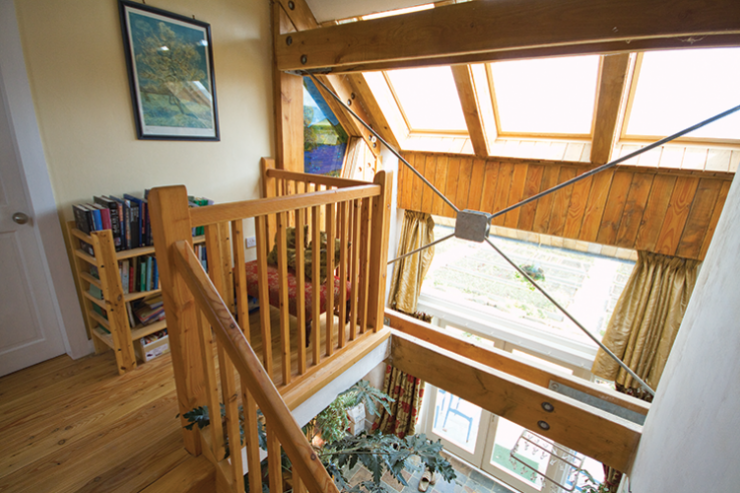 Of course, any rooflight post from us would not be complete without our ‘You Wish’ rooflight tour. 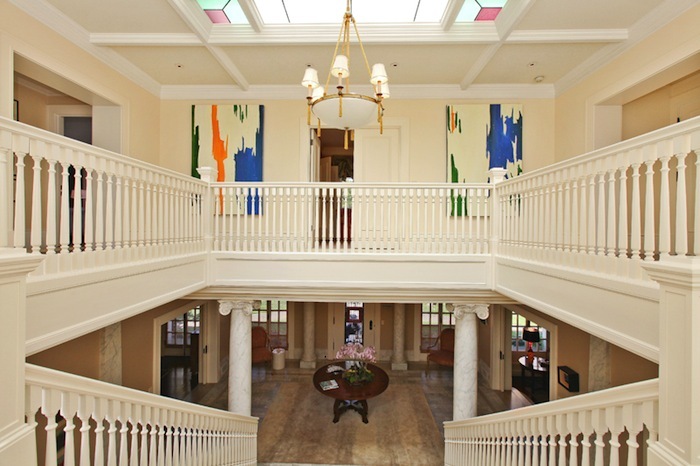 This week we’re featuring this landing stained glass rooflight in a San Francisco Beaux Arts mansion. There’s plenty of room on this landing for your artworks or anything else for that matter. Like it? 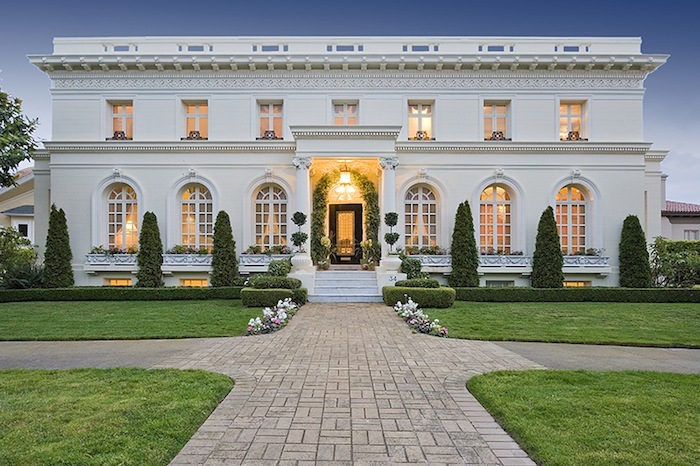 It’s currently for sale with a price ticket of $8,900,000 (approx. £7,149,420). 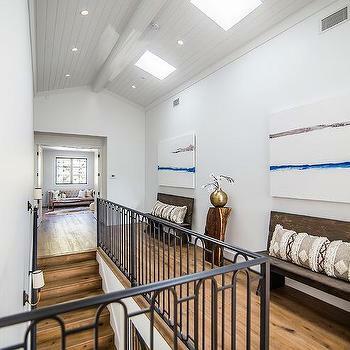 If you taste runs differently to the Beaux Arts style then the rooflights in this dramatic hallway are positioned so you can even hang chandeliers between them. The stunning centrepiece roof lantern example also allows for a superb light fitting. However, if all you are after is the light and nothing but the light – and are not on a millionaire’s budget, the last photo shows you just what can be achieved on an ordinary landing – chandeliers not withstanding. Inspired? 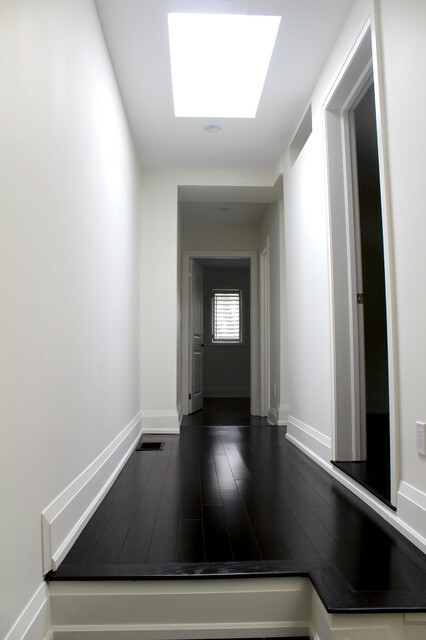 Have a hallway or landing that you want to enhance with light and liveability? Then talk to us. When it comes to allowing you to see the light in a whole new way – in areas of your home where it usually doesn’t penetrate – we have both the rooflights and the expertise for you to get the most out of living in the light – in any area of your home.